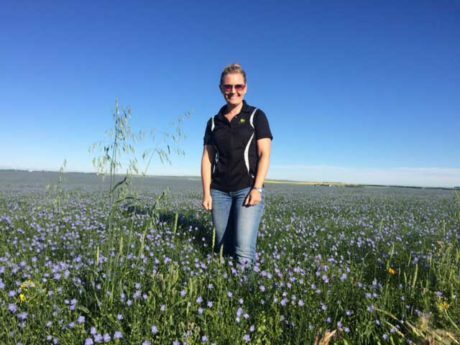 Patti Venner, John Deere Product Verification & Validation (PV&V) Manager, Crop Care, reflects on what she likes most about her job. The headline, a famous quotation from the movie “Field of Dreams,” may be true for a baseball diamond set in a remote corner of Iowa. But for agricultural tillage, planting, and spraying equipment, if you build it, they definitely will not come — unless you’ve tested and tested and tested that equipment first. And that’s where Patti Venner comes in. “In our line of work, it’s all about testing and making sure we deliver the best product possible to the customer,” says Venner, an 18-year Deere veteran who is the company’s PV&V Manager for the Crop Care Platform. Venner is standing at the edge of a large field near Cordova, Illinois, where she and her team have assembled for a test. The sound of a tractor pulling a prototype planter rumbles across the field. 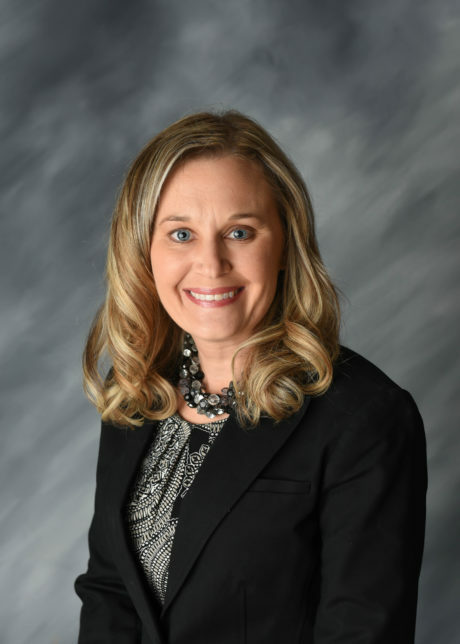 Whether she’s working here or with the other teams she manages around the globe, her chief goal is to ensure Deere’s core values of quality and innovation are evident in every machine the company produces. For example, Venner explains, one of the big challenges facing farmers is a short planting window. To have the best results at harvest time, farmers must plant their crops at a specific time of year, which sometimes can be as brief as one week. Farmers need a planter that can get through a field as fast as possible while maintaining precise seed placement. Exactly how Deere meets a particular customer need is a competitive secret, but the process isn’t. Her education and experience definitely help when deciding how to test a solution. Successful testers possess a range of skills, but the chief one may be understanding how things work. Venner, whose degree is in mechanical engineering, understands. She even designed products before she started testing them. Knowing how to design a product as well as how to test it has made Venner’s move into a full‑time PV&V role a natural step. In testing, we’re all engineers, but we work with people from quality, marketing, manufacturing — a bunch of different areas. It’s really tough to take a concept and then refine and test and refine and test it all the way through to production. To me, it almost feels like college, where you’re in the same program with a group of students, and you all go through the same ups and downs, and that creates some bonds that can’t be broken. Over my career at Deere, I’ve worked with hundreds of people from different parts of the company, and we formed some very strong bonds along the way. We all go our separate ways once we’ve completed a project, but we’re still very close. That’s been a great part of the experience for me at Deere. Venner says the most affordable way to test new product concepts is with the help of computer-generated modeling software. The increasingly sophisticated software can run rigorous analysis on our concepts, she notes, without running up huge costs by building physical machines. If the available tools don’t give Venner what she needs to test a concept, she looks for something new. That can mean going outside her immediate Crop Care organization to see what the other John Deere product lines are using. Venner may even go outside the company — to the automotive industry, for example — to benchmark a certain technology. She is constantly searching for the most efficient way to test things. Customers are the ultimate judges of product quality, of course, but there are competing interests. For example, some customers might wish products would cost next to nothing and last forever. But at the same time, John Deere would like to make great products and enough profit to reward employees and investors, so Venner has to consider many audiences. “Testers have to understand what the customers need,” she says, “not just today, but five years from today. Which functions are essential? What crops and conditions will they be running in? How will the machine be used in the field? How long will it be expected to last? Do our competitors have similar products and how do they compare?” And so on. If a concept passes the early testing phases, then the product development team will build a prototype machine and John Deere technicians and test engineers will put it through its paces in an actual work environment. Cooperators are farmers who have agreed to test experimental Deere products. They’re the test drivers, so to speak, who will use the new products on their own farms, in real production environments, and then report back to John Deere with criticisms, suggestions, and often even praise for the solution. Once Venner’s group has made further refinements based on feedback from customers and testing, the product development team sends those products into production. From there, they get rolled out to John Deere dealers. Venner plays an important role in a process that takes an idea, tests it, refines it, and eventually puts it into production. This can turn an ordinary drive through the country into a real-life display of her career highlights. 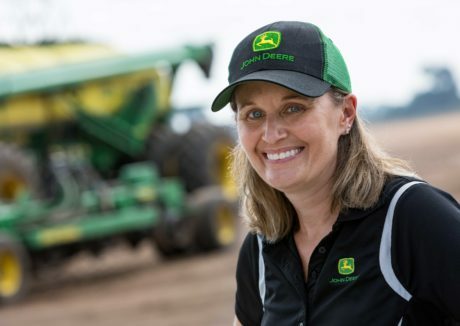 If Deere builds it — and Patti Venner and her teams approve it — customers will come.